Puerto Madryn Argentina is a port city in northern Patagonia. 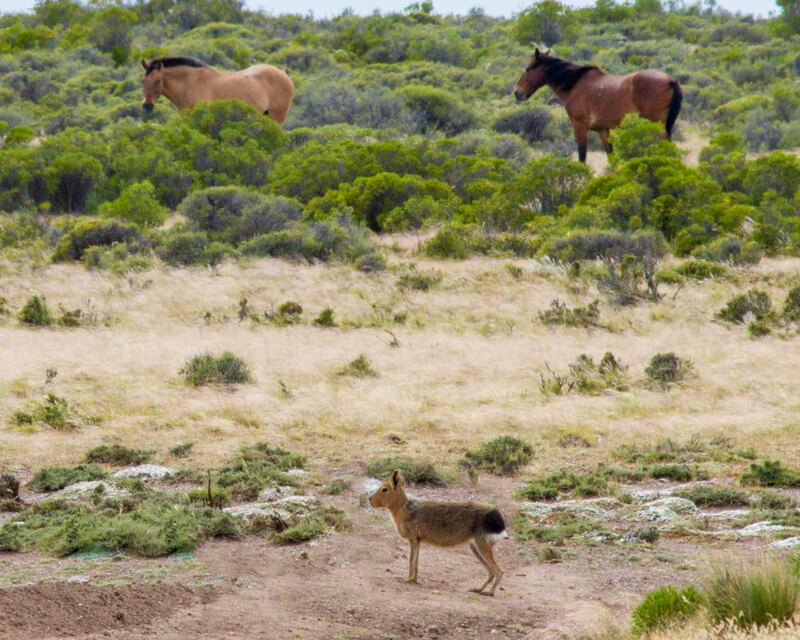 When most people think about an animal safari, they often think of South Africa, however Puerto Madryn and the surrounding area is an often overlooked wildlife goldmine. Visitors to the region often rush over to the popular El Calafate area for glacier trekking. 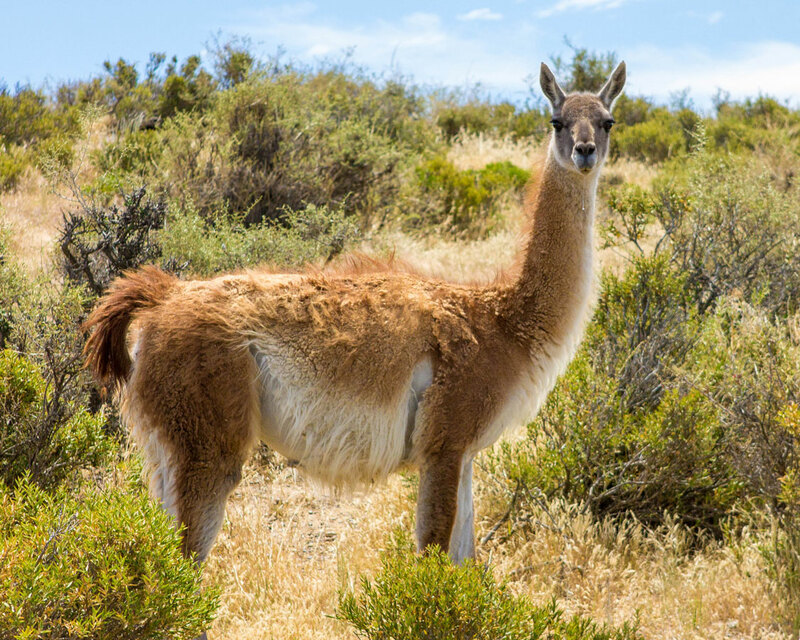 However, Puerto Madryn is the gateway to many wildlife reservations in Argentina making a visit to Puerto Madryn with kids an excellent addition to any family travel itinerary. As part of our tour of Argentina, we spent 4 nights and 3 days in the city and explored the region via day trips organized by Say Henque. What is the Peninsula Valdes? 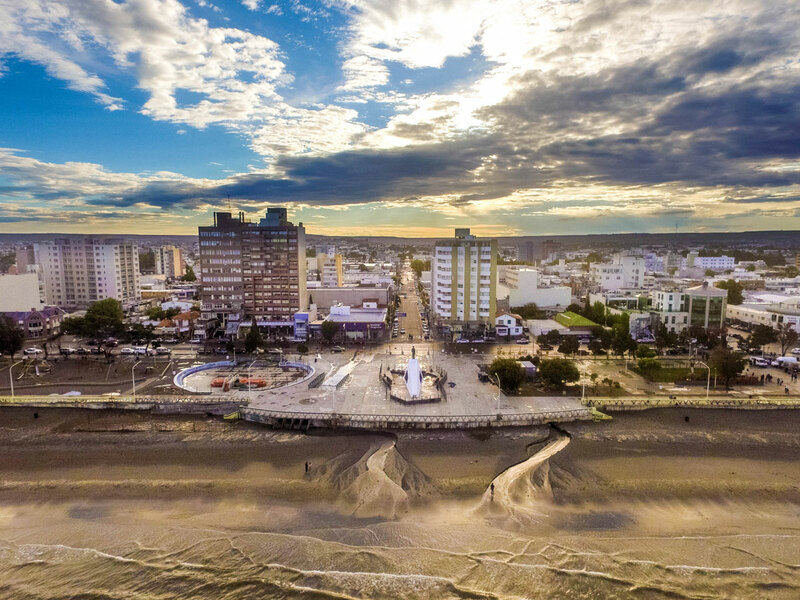 Puerto Madryn is most commonly known as the gateway to Peninsula Valdes. The Peninsula Valdes is where the coast of Argentina Patagonia dips deeps into the Atlantic Ocean. 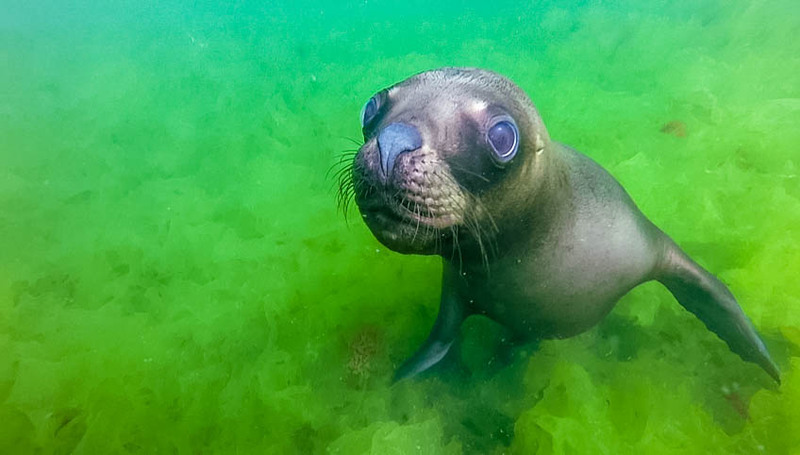 This region has become famous for it’s incredible diversity of marine wildlife includinging Magellanic Penguins, Southern Right Whales, Elephant Seals, Sea Lions, Vicunas, and much more. The Peninsula Valdes sanctuary (Reserva Faunistica Peninsula Valdez) is over 3600 km² and was listed as a UNESCO world heritage site in 1999. Puerto Madryn is the closest major city to the Peninsula Valdes, and most Peninsula Valdes tours to originate from there. 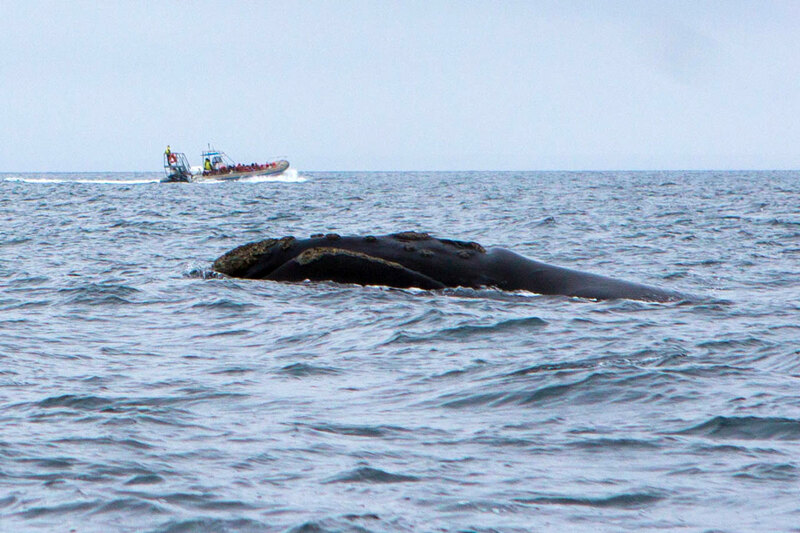 The star attraction of the Peninsula Valdes, and our main reason for wanting to visit Peninsula Valdez, are the endangered Southern Right Whales (ballena franca austral). They can be found along the 400 km shoreline of the reserve from June to mid-December, making this migration period a perfect time to visit Puerto Madryn with kids. 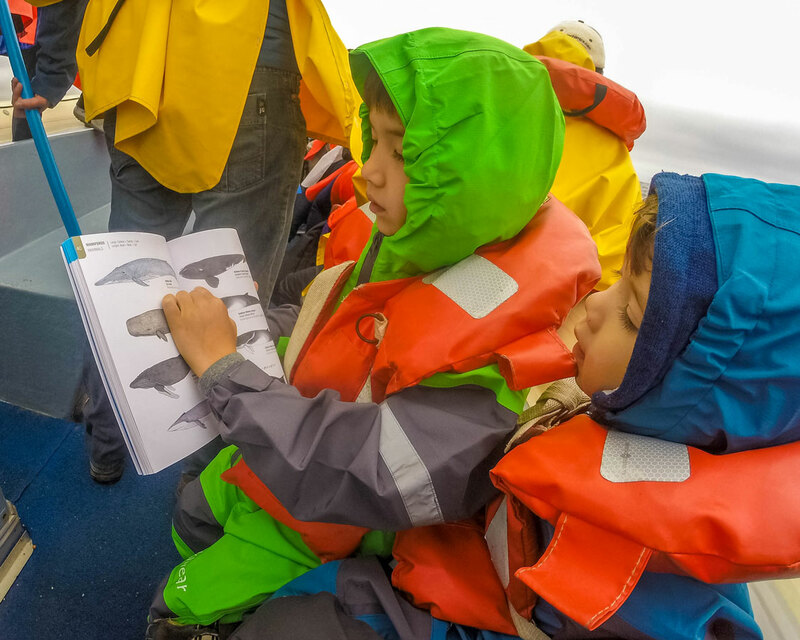 Even though this would be C’s third whale watching cruise, having seen a Blue whale in Iceland and Northern Right Whales and Belugas along Quebec’s Gaspe Peninsula he was still very excited for the trip. D was unsure as our tour boat set off from Puerto Piramides but was very enthusiastic when we spotted the first mom and baby whale tandem only 20 min from shore. Pro-Tip: At certain times the whales are visible from shore. Be sure to check out with the tourism agency in town to find out if this is happening during your visit. After our morning whale watching cruise in Puerto Piramides, we were off to see another area of Peninsula Valdes, Punta Cantor and Caleta Valdes. The main reason for stopping is to go to the lookout to observe the Elephant seals that line the beach. 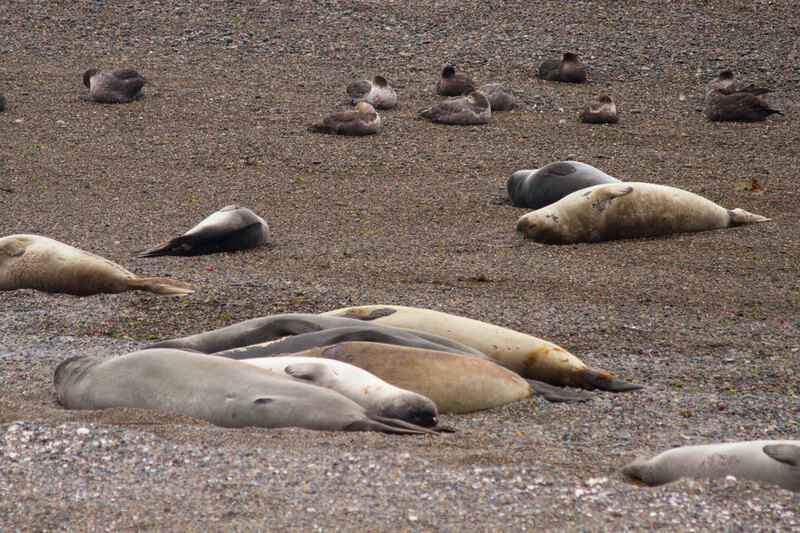 The area is protected by the Argentinian Government, and special permission needs to be obtained in order to get closer to the Elephant Seals in Punta Cantor. This is partly due to the sensitivity of the shoreline and structural weaknesses of the surrounding sand cliffs. Because of that, visitors are restricted to observing the animals from a viewing platform high above the beach. Pro-Tip: Punta Cantor is a well-known area for spotting Orcas during the Elephant seal birthing season. On the drive, we stopped at a small turn-off from the highway. We had no idea this was the case when we booked our excusion, but it turns out that there was a new Magellanic Penguin colony was starting to form on the Peninsula Valdes! It was our first glimpse of penguins in the wild and we didn’t want to leave! But this wouldn’t be our last experience with penguins in Argentina. 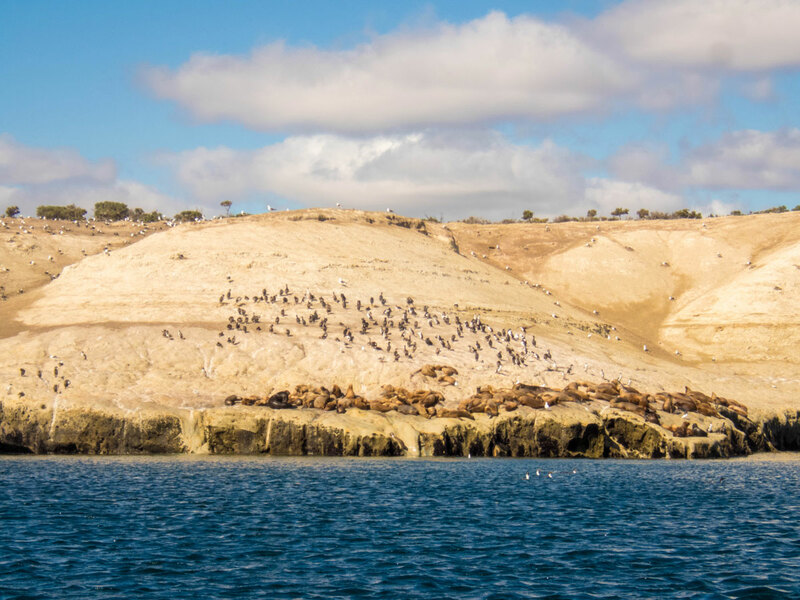 We had an incredible experience with the largest continental Penguin colony in Punta Tombo that you can read about here. 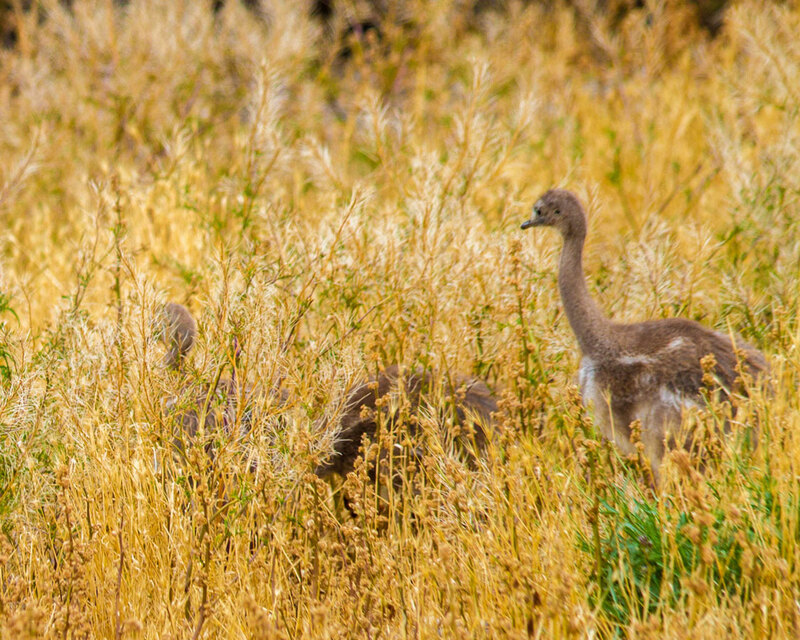 We also spotted some Rhea, a type of bird similar to an ostrich, nearby. It was fascinating watching these creatures that are more closely associated with Australia and Africa than South America. We learned that the male is normally the caregiver of the young. Next, as part of the day trip to Peninsula Valdez, we drove around the reserve trying to spot some of the terrestrial animals for which the Peninsula Valdes is known. The first animal we saw was a mara and C excitedly checked it off on his field guide. All in all, we saw horses, Patagonia hare, guanacos, many birds and even a tarantula. We were also able to see the salt flats in the distance. When we go back to Argentina, we would love to do some hiking in the area and have a much closer look at the flora and fauna. Punta Loma Reserve (Reserva Faunistica Punta Loma) is home to a permanent sea lion colony and cormorant rookery. 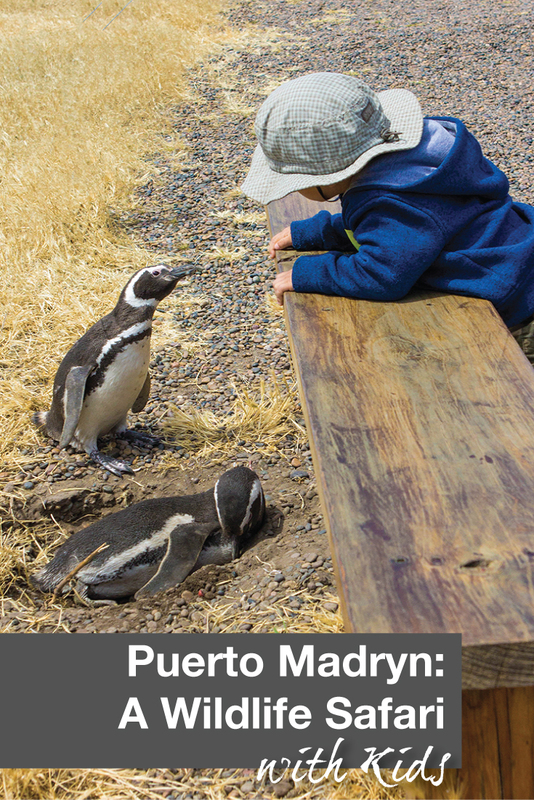 At only 17 km from Puerto Madryn, this is an excellent half-day trip when visiting Puerto Madryn with kids. If you are traveling around Puerto Madryn in your own vehicle, the drive to the lookout, which is 15 m away from the animals, is via a gravel road. If observing the sea lions in Punta Loma by land you must time your visit during low tide. During high tide, the animals go out to the ocean so it will be harder to spot them. For our visit, we decided to dive with the sea lions so our visit was timed for high tide. Kevin and I were able to get up close and personal with these friendly and very curious sea creatures. We took turns diving while the other stayed on the boat with the kids. C and D really enjoyed seeing and hearing the sounds the sea lions were making! 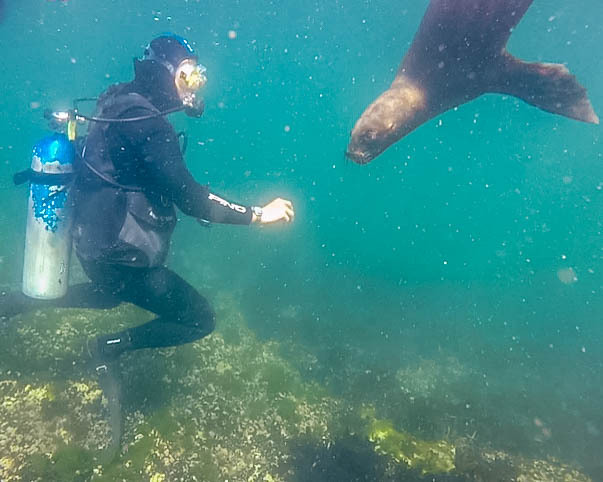 You can read all about our experience SCUBA diving with Sea Lions Punta Loma here. 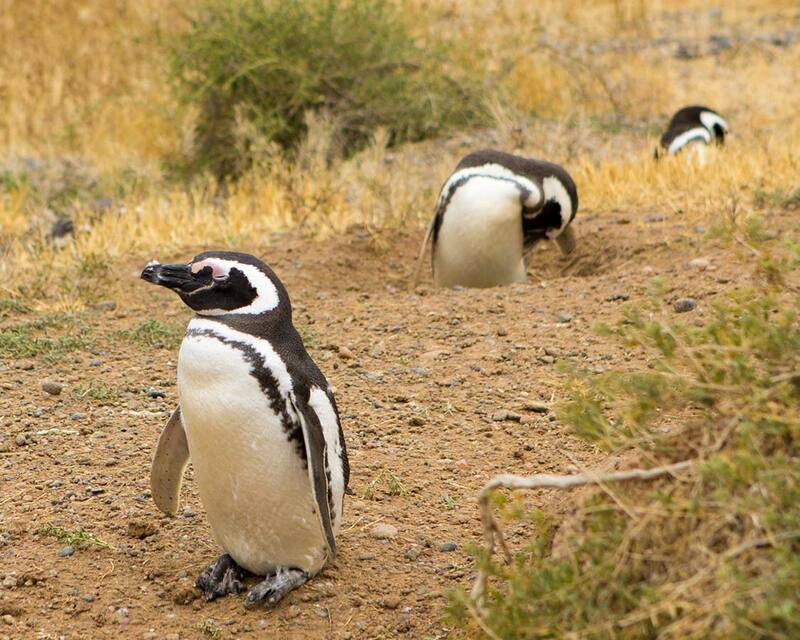 Punta Tombo is home to over half a million Magellanic penguins. The penguins stay in Punto Tombo National Reserve (Area Natural Protegida Punta Tombo) during the months of September to April. It is 170 km from Puerto Madryn and was a pleasant drive from the city. The rookery is about 3 km long and 600 m wide, extending into the Pacific ocean. Our visit to see the penguins of Punto Tombo with kids left us speechless. It was surreal being able to walkthem. Amazingly, since we went at the end of November we were able to see penguin moms with their eggs and some of the eggs had even hatched! After two hours at the reserve, it was time to head back. As we were walking to the tour van, we met some guanacos on the path. It was the perfect end to our tour. Pro-Tip: There is not a lot of shade in the rookery. So, bring a hat and protect exposed skin with sunscreen. 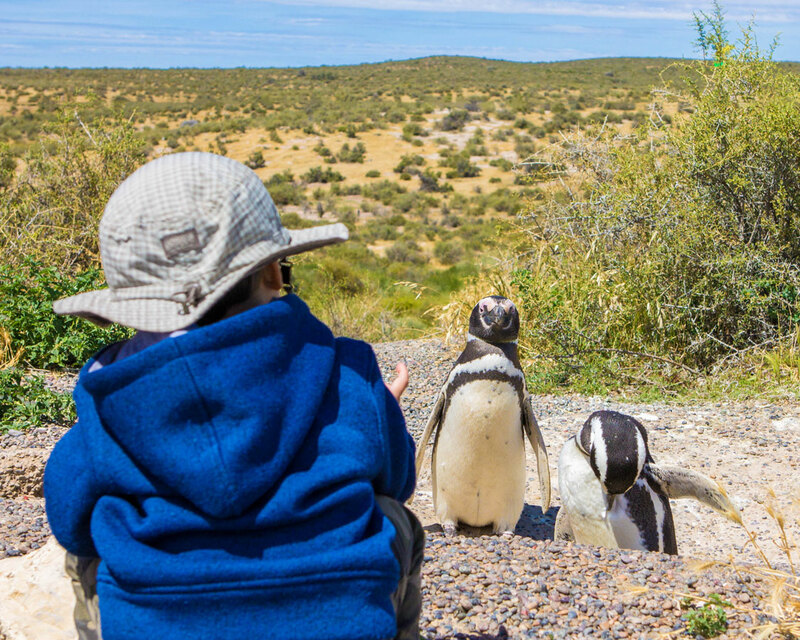 Why visit Puerto Madryn with kids? Planning a Patagonia trip with kids is a great idea for family travel in Argentina. Our main goal was to observe the penguins. We were happy to have our expectations exceeded by all the wildlife we got to see. Amazingly, there are many more animals and birds that we did not get to see during our visit. When planning your own wildlife safari be aware that not all animals can be seen all year around. If you are interested in a specific animal, make sure to find out when they are most likely to be in the area. But realize that this is nature and there is never any guarantee of sightings. 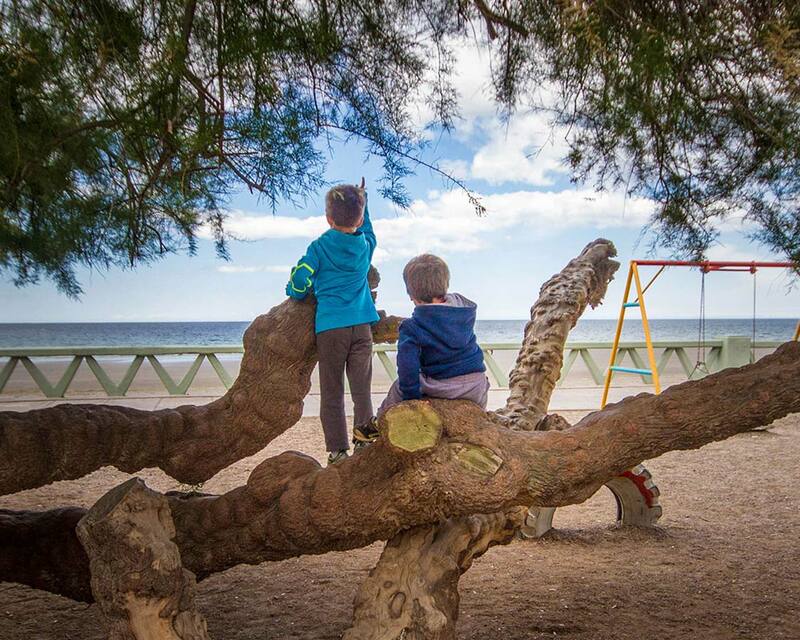 We are glad we did not pass the opportunity to visit Puerto Madryn with kids! This is awesome. We are heading to South America this year and this looks like a perfectly adorable addition to our trip. What an amazing experience to be able to see them up close like that. Hoping to get to some of South America especially Argentina, will have to add this to the itinerary for sure! Your kids are getting such cool experiences! Looks spectacular! So much wildlife. And you capture them all really well. Can’t wait to finally visit one day. What an experience for the kids! And you’ve captured some amazing moments on film. The penguins are my favourites. What a fun place for kids. 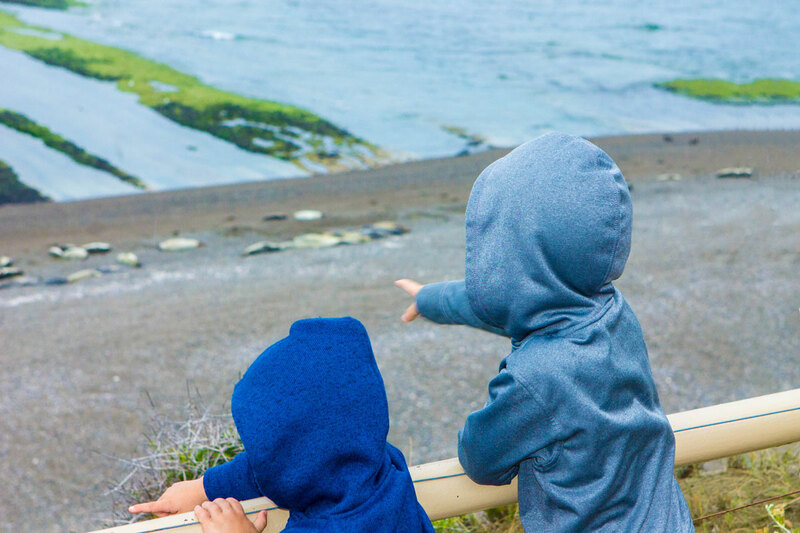 From elephant seals to penguins, what kid would not be entertained? I know that I would LOVE it here…. Thanks for sharing such a fun place and giving your kids such an awesome opportunity. Oh my god! Argentina is so awesome. The first thing I did after scrolling through your post was to check the flight charges between India and Argentina. I so want to visit this place. This all looks glorious. 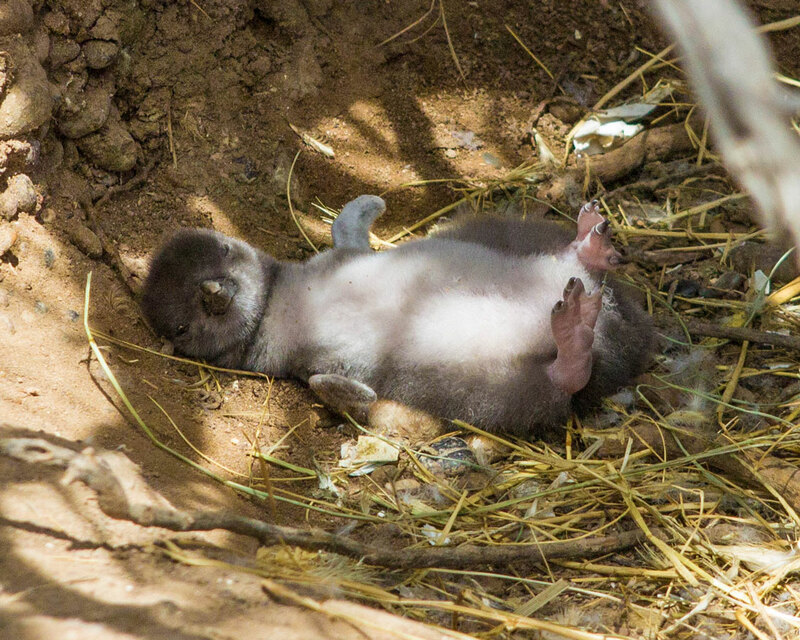 So special for the kids and to see the baby penguins! Priceless. Looks like a wonderful place to visit. Thanks for the introduction as I didn’t have much idea about Argentina as Inhave never been there. But there are sure a lot of spectacular sceneries and wildlifes that makes a trip an unforgettable one. Love the photos as well!! I can see why kids would love this, as I would totally love it! That Patagonia hare looks huge! Like the size of a small dog! I’ve only seen penguins in captivity so I’d love to see them in the wild. And who doesn’t want to swim with seals? I always enjoy reading about your travels and finding new places I need to go to. Thanks for sharing! Amazing..how adorable this post is..made my day…Look at those creatures how adorable they are…Lovely pictures i am scrolling again and again to see those pictures..thanks for sharing these wonderful memory. Just curious, where did you stay? I am looking for a place on Peninsula Valdes but I’ll be travelling with an almost 4-year-old and an almost 2-year-old. I found an Estancia that looks amazing but kids have to be 15! We stayed at the Dazzler on the coast right in Puerto Madryn and made the drive out to the Peninsula Valdes.